Based on many years of experience we supply our customers with high precision process and automation solutions. Our inkjet printers drive innovation across the functional printing applications. 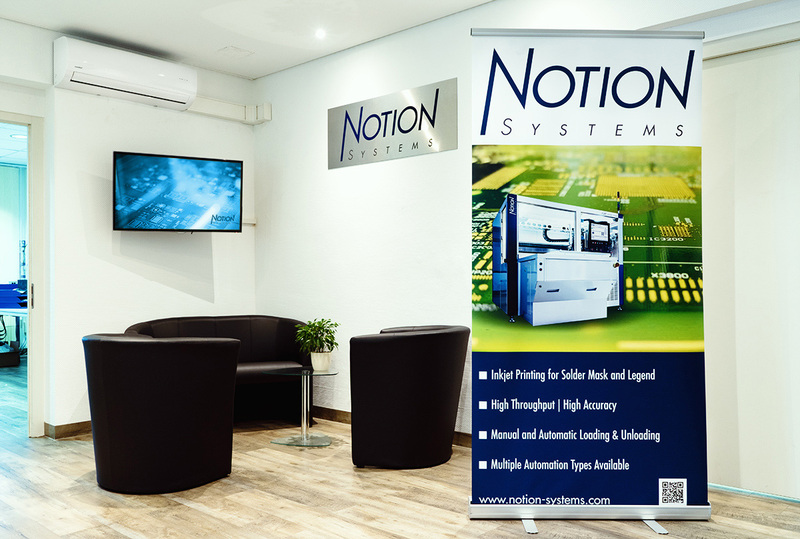 Notion Systems develops, builds and distributes high-precision modular machines for vision, automation, and digital printing of functional fluids. We support our customers and partners in development and scale-up of their digital production processes. Our product portfolio ranges from high-performance R&D inkjet platforms to fully integrated high-thoughput and precision 24/7 production machines. Digitalization of industrial production processes results in reduction of process steps, reduction of consumables, energy consumption and ultimately process cost. On the other hand it enables new products and processes and thus drives innovation. Notion Systems wants to support and drive this process across industries and borders by supplying each customer with the optimal solution to each requirement.